The inverted index is a key component for search engines to manage billions of documents and quickly respond to users’ queries.Whereas substantial effort has been devoted to reducing space occupancy and decoding speed, the encoding speed when constructing the index has been overlooked. Partitioning the index aligning to its clustered distribution can effectively minimize the compressed size while accelerating its construction procedure. 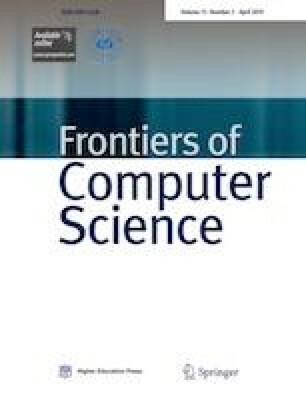 In this study, we introduce compression speed as one criterion to evaluate compression techniques, and thoroughly analyze the performance of different partitioning strategies. Optimizations are also proposed to enhance state-of-the-art methods with faster compression speed and more flexibility to partition an index. Experiments show that our methods offer a much better compression speed, while retaining an excellent space occupancy and decompression speed. networks. Xingshen Song, a doctoral candidate, received his MS degree in remote sensing from the Aviation University of the Air Force, China in 2013. His research interests include data structures for search engines, inverted index compression, and query processing optimization. Yuxiang Yang received his PhD degree in computer science from the National University of Defense Technology (NUDT), China in 2008. Currently, he is a professor of the College of Computer, NUDT. His main research fields include information retrieval, information security, and cloud computing. Yu Jiang, a master candidate, received her BE degree in computer science and technology from Xi’an Jiaotong University, China in 2010. Her research interests include query processing optimization and data structures for search engines. Kun Jiang received his PhD degree in computer science from the National University of Defense Technology, China in 2015. He is now a postdoctoral fellow in the School of the Electronic and Information Engineering, Xi’an Jiaotong University, China. His current research interests include information retrieval and machine learning. Supplementary material is available for this article at https://doi.org/10.1007/s11704-016-6252-5 and is accessible for authorized users. Supplementary material, approximately 320 KB.